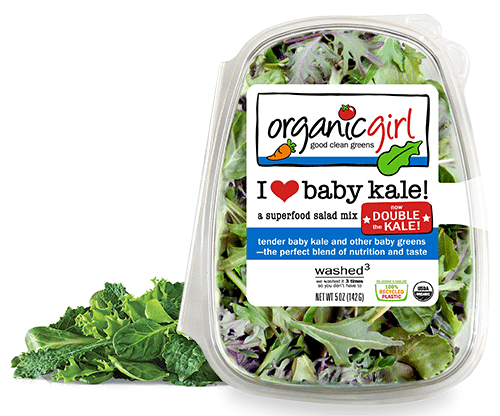 roasted broccoli florets and our i heart baby kale greens make a hearty base for any salad dish. 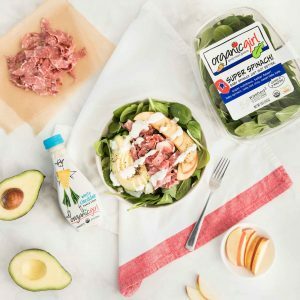 top with some raisins and chopped hazelnuts, then drizzle with our fresh white cheddar dressing for a better for your broccoli salad! on a large baking sheet, toss broccoli with oil. Roast until broccoli is tender and slightly charred around the edges, 15-20 minutes. drizzle with ¼ cup dressing. in a large bowl, toss greens with ¼ cup dressing and arrange on plates. top with roasted broccoli and sprinkle with raisins and hazelnuts. 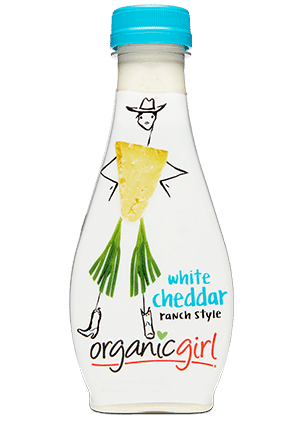 love white cheddar? 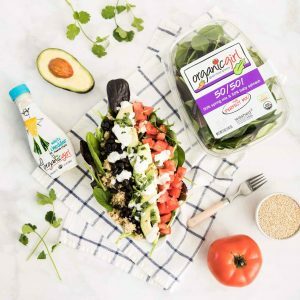 try these other recipes! 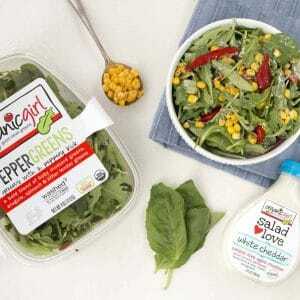 fresh roasted corn & peppers!